Unlike our Scottish counterparts, timber has never quite taken off in the rest of UK homes. Until now, that is. With more homeowners than ever turning to extensions, there’s now more people looking to experiment with the traditional English home - meaning timber is on the rise! Now it’s true, timber costs more than your run of the mill brick and mortar extension. But this is no different than any other bespoke feature, such as glazed walls, or metal cladding. Costs can be reduced by being selective in how you use your timber, and combining it with other materials. You might also find costs going down the more timber’s popularity rises. That’s because some of the extra costs comes from the specialist knowledge required by your contractor. The more people using timber, the more timber specialists they’ll be, and therefore costs might start to come down. People living in Scotland or around the border, will find more contractors, and better costs available, than those living in the South of England, where timber professionals are scarcer. It’s only natural to make this assumption, after all, how can wood stand up to the might of stone and steel? Well, don’t be fooled, timber is stronger than you think. Don’t forget, there’s a wide range of timber available, with each boasting their own unique benefits. Some of these wooden varieties have strength comparable to even steel! Not only that, wood can be treated to boost its performance. One such treatment is ‘drying’, whereby the timber is placed into a kiln and dried out, leaving it with less than 28% moisture content. This ensures it’s more durable, and less likely to warp. Much like with its strength, you’ll also be amazed at how long lasting wood can be. That’s because, unlike other materials, timber is can be repaired over and over again. 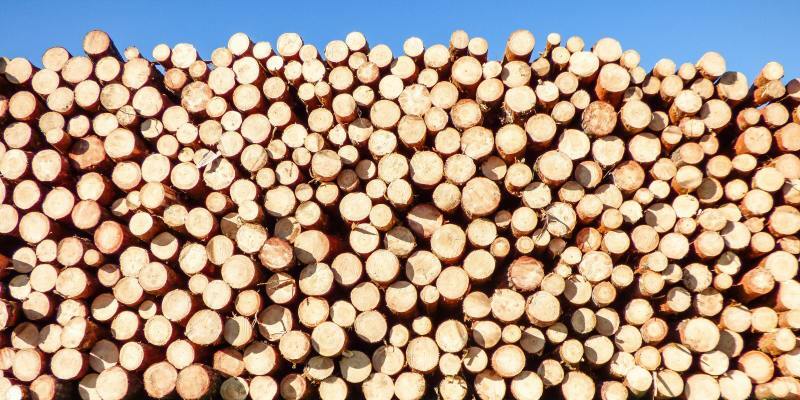 Meaning, if you take good care of it, timber may even outlast materials such as steels, iron, and aluminium. However, you must be prepared to put the time into its maintenance. This might not be as time intensive as you think, if you opt for treated wood from the off-set. And, timber such as oak has its own benefits, such as being highly resistant to insect attacks (a rarity in Britain) and being naturally anti-fungal. If you’re worried about soundproofing, don’t be, because building regulations have you covered. According to Part E of UK building regulations, all homes have to meet a certain set of standards when it comes to modifying or building a home - this includes timber framed extensions. Because of this, your architect will consider these rules when putting together your building regulations package, and should liaise with you to make sure the material you choose, and how it’s used, keeps your sound levels legal. If you are concerned about noise, you can create better sound proofing by building two separate walls with a structural break between them. This gap can then be fitted with a sound absorbent quilt - problem solved. As with soundproofing, building regulations ensures that anything you build follows strict safety standards. Meaning, if timber was a real fire risk, you wouldn’t be allowed to build with it! Most wood is treated with special substances that makes them flame resistant, and when tested, timber has shown to react to house fires in the same way as concrete and steel. To learn more about using timber in your home extension, why not book yourself in for a free consultation with our experts? Whether you’re raring to go, or just curious, we offer free advice all year round to homeowners.